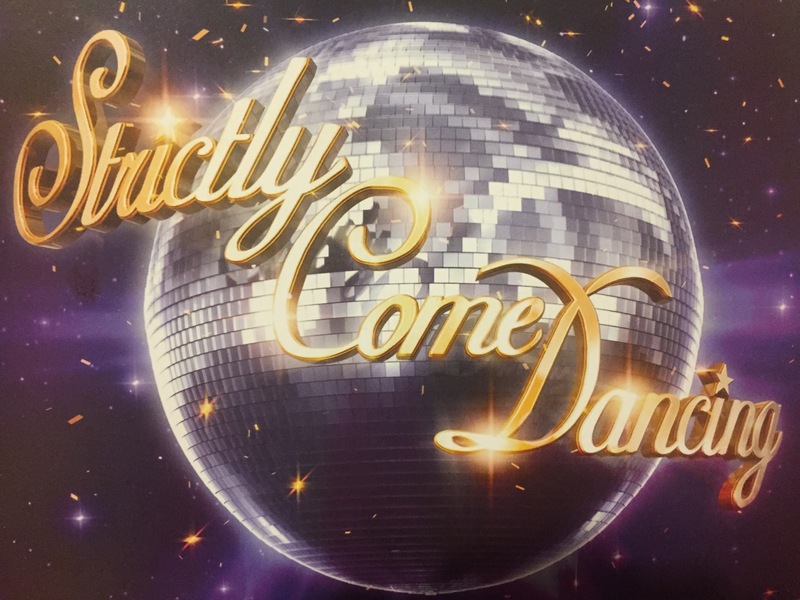 So it has begun, the sequined wonderment that is Strictly Come Dancing. 2014. It is a show that I have loved from Day 1 and at the moment it seems to span the passage of time from late Summer right up until Christmas. When the celebs are announced it seems like we are all still barbecuing and hoping to have tea in the garden just one last time and when it finishes we are about 3 more sleeps away from the big day! Also, I love the dresses the music and ever now and again, I watch a dance that is so beautiful it makes me cry. I also love Claudia and Tess, which I know aren’t to everyone’s cup of tea, but how could you NOT have a girl crush on Claudia – she’s ace. Also, in 2011 I went to Television Centre in London to watch it being recorded as I managed to get tickets TWICE in one series. I went the first time in September with M to see the launch show (sat in the upstairsy bit behind the judges) and the second time in November with my mum to see the Christmas show being recorded (sat in the FRONT row, next to Brendan Cole). 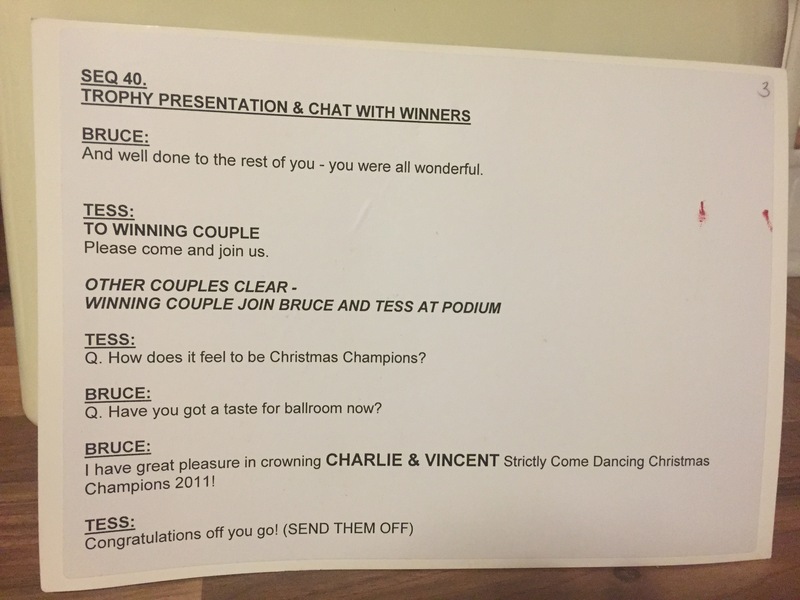 I was dead lucky as we had such a good view that I got to be in touching distance of all the celebs and even Brucie himself – I even caught one of Tess’s cue cards right at the end of the recording when she chucked them on the floor.